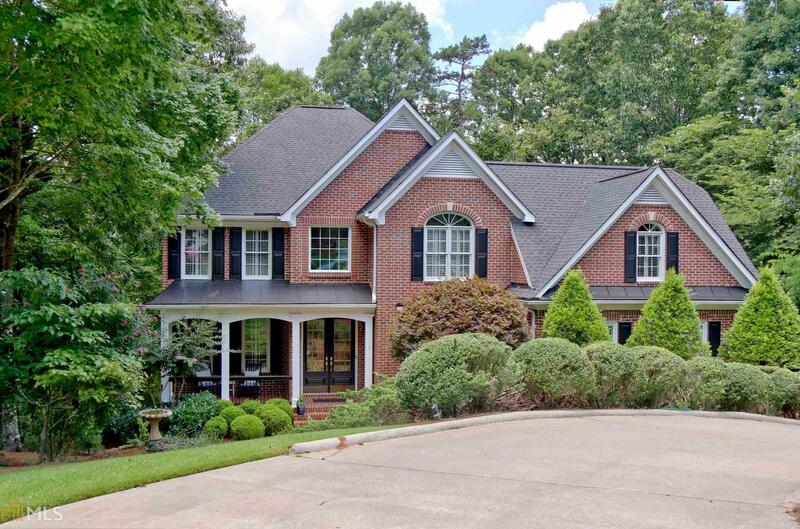 ALL BRICK Treetop Retreat in the heart of Peachtree City: 5 Bd/5 Ba, w/two private decks overlooking Old Mill Golf Course. Main level features: 2 story foyer,renovated kitchen w/custom cabinets,granite counters,5 burner gas cooktop, dbl ovens, SS dishwasher, coffee/wine bar w/wine cooler, center island, walk in pantry,breakfast area w/desk, vaulted family room w/built-ins surrounding fireplace, wet bar and window/doors open to covered deck. Living & dining rms, guest suite w/bath & front porch on main. Second floor boasts master suite w/sitting area, walk-in closets & updated bath, 3 add&apos;l bd, Jack-n-Jill ba, add&apos;l full bath, laundry, and loft. Finished terrace level: rec & living rms, workshop, storage, side entrance, prof. landscaping, wooded backyard. Directions: From Hwy.54 Take Peachtree Parkway North To First Interlochen Entrance On Left. House Is Down On Left. From Hwy. 74 Take Peacthree Pkwy. To First Interlochen Entrance On Right. House Is Down On Right.